Yesterday, the Third Committee of the UN General Assembly supported the adoption of the UN instrument recognizing human rights to peasants and other rural workers. With 119 in favour, 7 against and 49 abstentions, the Declaration made its final step after years of negotiations. 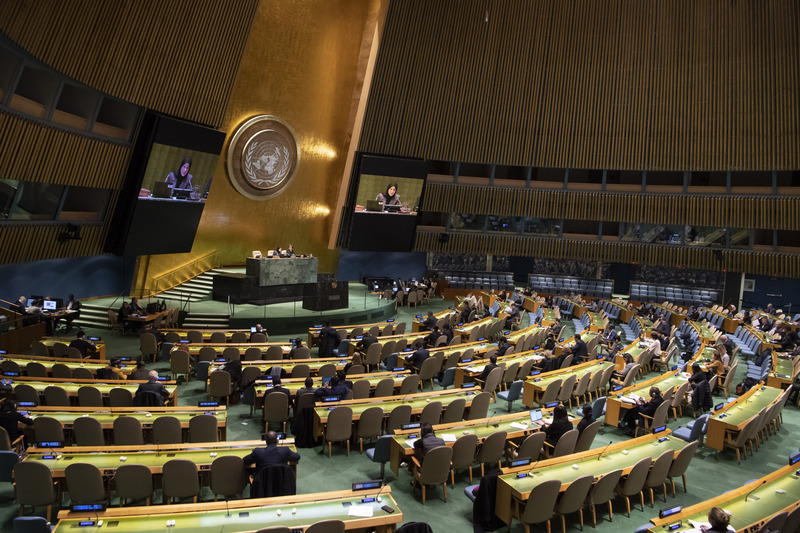 In a few weeks, the General Assembly plenary will have to provide its formal approval to conclude the long journey towards signing and implementation. Despite USA and UK refusing to support the content of the text, the majority of Member States reiterated the importance of recognizing the role of family agriculture for the fulfillment of the sustainable development goals, the future of humanity, and the particular conditions of discrimination suffered by small-scale producers and their communities in the rural areas of the world. Support has come from all regions. While most African States voted in favor of the Declaration, the majority of European states abstained. This fortunately, did not prevent Portugal, Luxemburg and Switzerland from supporting the Declaration and emphasizing the positive outcomes of years of process, particularly an increased awareness. With an overwhelming support by Latin American countries, Mexico recalled that the Declaration is not only in line with the FAO Voluntary Guidelines on the Responsible Governance of Tenure of Land, Fisheries and Forests but it is also consistent with food security and nutrition policies. In Asia, Indonesia stated that this instrument would allow states to formulate better national policies in accordance with the interest of millions of rural communities. The process for a declaration of peasant rights has been a long journey for the rural world and social movements the world over. The OEIWG was created in September 2012 by Resolution 21/19, as a result of advocacy work by La Via Campesina and a long list of supporting organizations throughout more than 15 years.